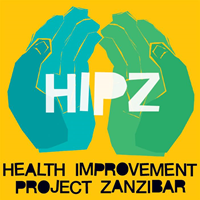 HIPZ, a UK charity established in 2006, has created a unique model of healthcare delivery in Zanzibar. Through an innovative collaboration with the Government of Zanzibar, HIPZ endeavours to strengthen the services provided in two rural hospitals. Since taking over the management of Makunduchi Hospital in the south of Zanzibar in 2007, HIPZ has transformed health services in the area, primarily through voluntary efforts from doctors and other healthcare professionals. At the request of the President of Zanzibar, HIPZ has begun supporting a second hospital in Kivunge, another area that formerly had little healthcare provision. As with Makunduchi, the initial focus at Kivunge hospital is on improving the maternity care and surgery services. HIPZ is now delivering improved healthcare to 250,000 – a quarter of the population of Zanzibar. The Volunteer Coordinator will provide multi-faceted managerial support to the HIPZ Volunteers and Elective Students, including efficient and responsive organizational and logistical support. Other responsibilities include as-needed programmatic support focusing on the volunteers, financial reporting, and clinical coordination activities. The candidate for this position must be highly self-motivated, demonstrating exceptional attention to detail and diplomacy and a high-level of cross cultural sensitivity and an ability to share that knowledge in a professional and kind manner. Start and follow up the process of applications for work permit, visa and registration at immigration and clinical councils for volunteers. Ensure that all relevant documentation has been collected at least 12 weeks prior to arrival to start the process of visa, work permit and registration to relevant clinical council. To coordinate the process of obtaining a Zanzibar driving license for volunteers. Chair and coordinate a Bi monthly meeting with all current volunteer’s and students. Give feedback to the Operations team at their weekly meeting. Coordinate any maintenance work at the volunteer and student houses. To collect and synchronize all volunteer monthly and student elective final reports and make sure they are all presented in the right venues (hospitals, MoH, trustees, and Donors) and filed in the proper place accessible to pertinent people both in the cloud and hard copies when necessary. Experience working within an international environment. The ideal candidate would have work experience in an international organization, NGO and/or public sector. Proficiency with Microsoft Word, Excel and Power Point and Mail Programs required. Demonstrated ability to manage and prioritize projects with attention to detail. Demonstrated ability to collaborate with professionals at all levels in diverse settings; must be flexible, reliable, responsive, and resourceful. Possess advanced diplomatic instincts, ability to gracefully and humbly work within challenging professional contexts requiring tact, judgment and discretion. Willingness to travel in-country frequently and at short notice. Fluency in English and Swahili required.